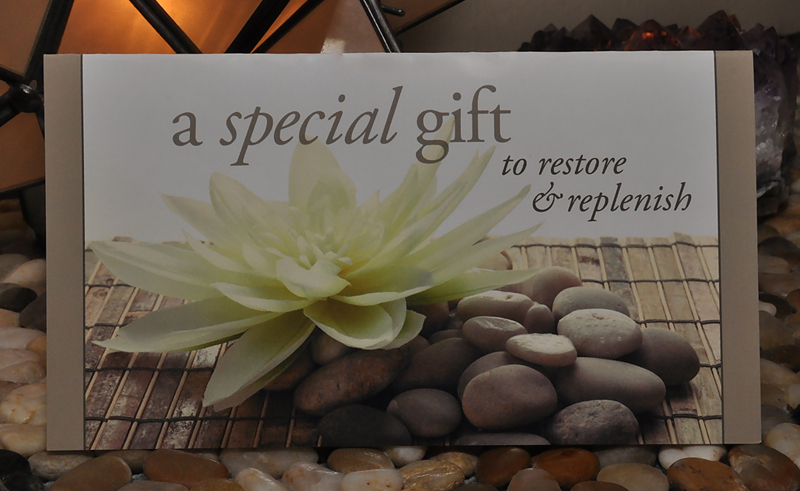 Wellness Gift Certificates make great, stress-free gifts any time of the year. Giving the gift of health and well-being truly says you care! Print out a gift certificate, or email it to the recipient. Choose from a variety of gift card designs, then print it out, or have it emailed to the recipient on a specific date or instantly. Call us at (617) 630-8777 to order by phone. Call us day or evening with your gift certificate request. We’ll process it over the phone and mail it out the next day.